the closest star to the Solar System. 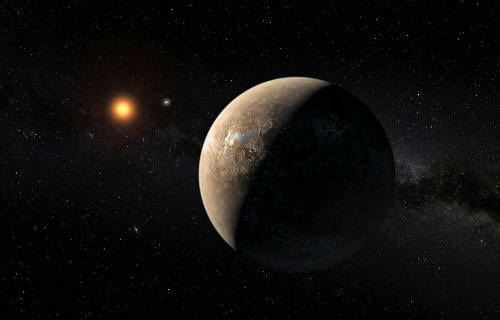 Ever since the ESO announced the discovery of an extra-solar planet orbiting Proxima Centauri, scientists have been trying to determine what the conditions are like on this world. This has been especially important given that fact that while Proxima b orbits within the habitable zone of its sun, red dwarf like Proxima Centauri are known to be somewhat inhospitable. 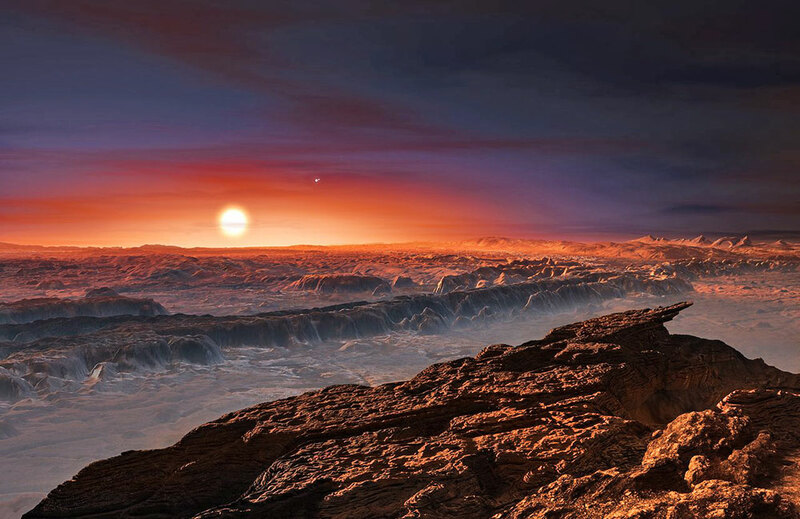 And while some research has cast doubt on the possibility that Proxima b could indeed support life, a new research study offers a more positive picture. The research comes from the Blue Marble Space Institute of Science (BMSIS) in Seattle, Washington, where astrobiologist Dimitra Atri has conducted simulations that show that Proxima b could indeed be habitable, assuming certain prerequisites were met. Dr. Atri is a computational physicist whose work with the BMSIS includes the impacts of antiparticles and radiation on biological systems. For the sake of his study - "Modeling Stellar Proton Event-Induced Particle Radiation Dose on Close-in Exoplanets", which appeared recently in the Monthly Notices of the Royal Astronomical Society Letters - he conducted simulations to measure the impact stellar flares from its sun would have on Proxima b.
orbiting the red dwarf star Proxima Centauri. is visible to the upper right of Proxima itself. To put this perspective, it is important to note how the Kepler mission has found a plethora of planets orbiting red dwarf stars in recent years, many of which are believed to be "Earth-like" and are close enough to their suns to have liquid water on their surfaces. However, red dwarfs have a number of issues that do not bode well for habitability, which include their variable nature and the fact they are cooler and fainter than other classes of stars. 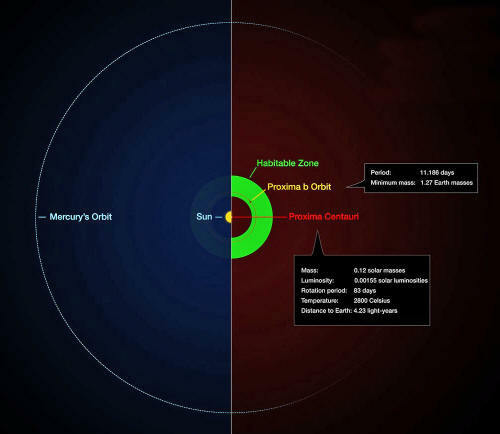 This means that any planet close enough to orbit within a red dwarf's habitable zone would be subject to powerful solar flares - aka Stellar Proton Events (SPEs) - and would likely be tidally-locked with the star. In other words, only one side would be getting the light and heat necessary to support life, but it would be exposed to a lot of solar protons, which would interact with its atmosphere to create harmful radiation. As such, the astronomical community is interested in what kinds of conditions are there for planets like Proxima b so they might know if life has (or had) a shot of evolving there. For the sake of his study, Dr. Atri conducted a series of probability (aka. Monte Carlo) simulations that took into account three factors - the type and size of stellar flares, various thicknesses of the planet's atmosphere and the strength of its magnetic field. "I used Monte Carlo simulations to study the radiation dose on the surface of the planet for different types of atmospheres and magnetic field configurations. The results are optimistic. If the planet has both a good magnetic field and a sizable atmosphere, the effects of stellar flares are insignificant even if the star is in an active phase." with the same region of the Solar System. In other words, Atri found that the existence of a strong magnetic field, which would also ensure that the planet has a viable atmosphere, would lead survivable conditions. While the planet would still experience a spike in radiation whenever a superflare took place, life could survive on a planet like Proxima b in the long run. On the other hand, a weak atmosphere or magnetic field would foretell doom. "If the planet does not have a significant magnetic field, chances of having any atmosphere and moderate temperatures are negligible," he said. "The planet would be bombarded with extinction level superflares. Although in case of Proxima b, the star is in a stable condition and does not have violent flaring activity any more - past activity in its history would make the planet a hostile place for a biosphere to originate/evolve." History is the key word here, since red dwarf stars like Proxima Centauri have incredible longevity (as noted, up to 10 trillion years). According to some research, this makes red dwarf stars good candidates for finding habitable exoplanets, since it takes billions of years for complex life to evolve. But in order for life to be able to achieve complexity, planets need to maintain their atmospheres over these long periods of time. 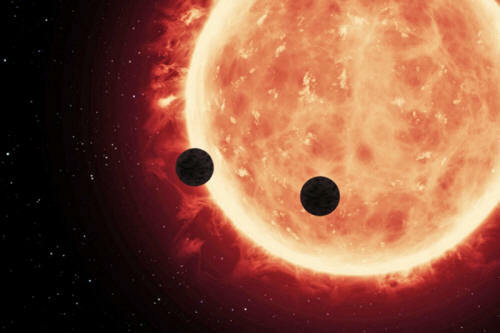 Naturally, Atri admits that his study cannot definitively answer whether our closest exoplanet-neighbor is habitable, and that the debate on this is likely to continue for some time. "It is premature to think that Proxima b is habitable or otherwise," he says. "We need more data about its atmosphere and the strength of its magnetic field." transiting a red dwarf star in the TRAPPIST-1 System. In the future, missions like the James Webb Space Telescope should tell us more about this system, its planet, and the kinds of conditions that are prevalent there. By aiming its extremely precise suite of instruments at this neighboring star, we are sure to detect transits of the planet around its faint sun. One can only hope it finds evidence of a dense atmosphere, which will hint at the presence of a magnetic field and therefore life-supporting conditions. Hope is another key word here. Not only would a habitable Proxima b be good news for those of us hoping to find life beyond Earth, it would also be good news as far as the existence of life throughout the Universe is concerned. Red dwarf stars make up 70% of the stars in spiral galaxies and more than 90% of all stars in elliptical galaxies. Knowing that even a fraction of these could support life greatly increases the odds of finding intelligence out there!